Many of the marine industry&apos;s publicly held companies posted improved earnings in the most recent quarter - a sign the recession might be easing for boating businesses. Some, such as Brunswick Corp., Marine Products Corp. and Cobra Electronics, saw an increase in net sales, while others, including MarineMax, reported smaller declines than in previous quarters. The following is a roundup of the latest industry earnings reports. Brunswick reported a 15 percent increase in net sales for the first quarter, which included gains in both the boat and engine segments. For the first quarter of 2010, the company reported net sales of $844.4 million, up from $734.7 million a year earlier. For the quarter, the company reported operating earnings of $10.1 million, which included $7.4 million of restructuring and impairment charges. In the first quarter of 2009, the company had an operating loss of $127.5 million, which included $39.6 million of restructuring and impairment charges. For the first quarter, Brunswick reported a net loss of $13 million, or 15 cents a share, compared to a net loss of $184.2 million, or $2.08 a share, for the first quarter of 2009. "The successful execution of our strategic initiatives over the past several quarters was a key factor in our improved first quarter results," says Brunswick chairman and CEO Dustan McCoy. "Historically low marine dealer inventories as we entered the year led to improved wholesale shipments. This, combined with significant fixed-cost reductions achieved during the last two years, enabled us to report our first quarterly operating profit since the first quarter of 2008. In addition, our net debt declined by $22 million, as cash balances increased by $26 million." McCoy says there are 11,000 fewer units in the field than at this time last year, a 38 percent drop. To meet demand, Brunswick increased production in the first quarter by more than 50 percent and shipments were up more than 40 percent versus last year. 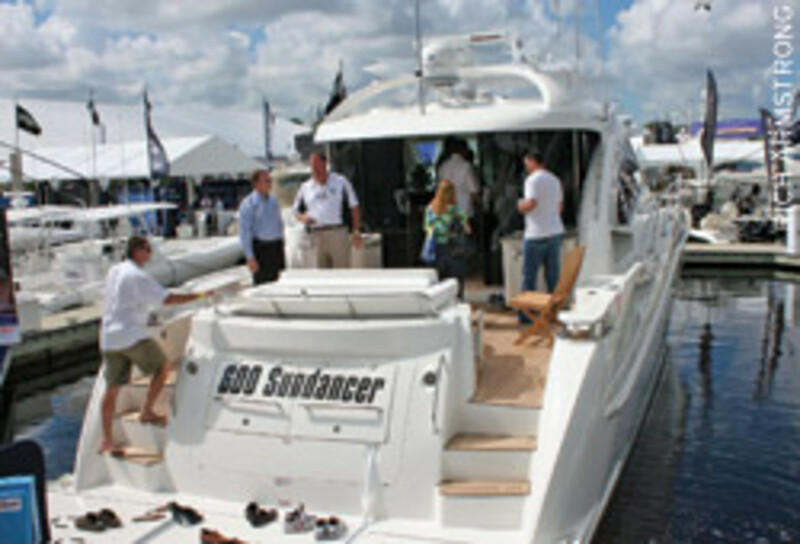 The boat segment reported net sales of $243.6 million for the first quarter, an increase of 19 percent compared to $205.3 million in the first quarter of 2009. International sales, which represented 37 percent of total segment sales in the quarter, increased by 8 percent during the period. For the first quarter of 2010, the boat segment reported an operating loss of $26.7 million, including restructuring and impairment charges of $4.1 million. This compares to an operating loss of $72.3 million, including restructuring and impairment charges of $25 million, in the first quarter of 2009. The marine engine segment reported net sales of $445.7 million in the first quarter, up 30 percent from $343.9 million in the year-ago quarter. International sales, which represented 47 percent of total segment sales in the quarter, increased by 37 percent. For the quarter, the marine engine segment reported operating earnings of $26.5 million, including restructuring charges of $2.4 million. This compares to an operating loss of $50.6 million in the year-ago quarter, which included $11.7 million in restructuring charges. 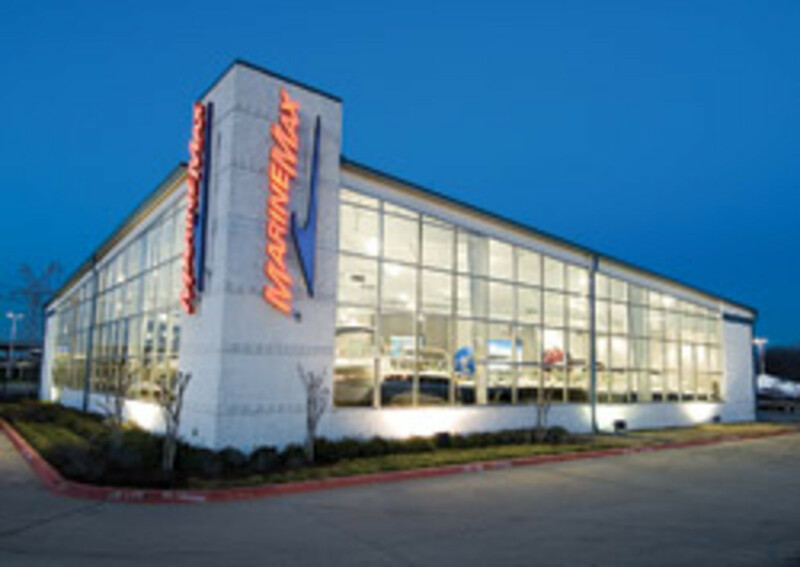 MarineMax reported a slight decrease in revenue for its second quarter, which ended March 31, but a smaller decline in same-store sales than was reported in the same period last year. Revenue was $110.1 million compared to $129.6 million for the comparable quarter last year. Same-store sales declined approximately 5 percent, compared to a 41 percent decline in the comparable quarter last year. During the quarter, the company operated 56 stores - 18 fewer than the prior year. At its peak in 2007, the company had 93 stores. Net loss for the second quarter of fiscal 2010 was $6.3 million, or 29 cents a share, compared to a net loss of $20.3 million, or $1.09 a share, for the comparable quarter last year. On March 31, inventory was $173.7 million compared to $399.1 million March 31, 2009, a $225.4 million, or 56 percent, decline. "With our successful efforts to substantially reduce our inventory levels behind us, gross margins returned to more typical levels," says William H. McGill Jr., chairman, president and CEO, in a statement. "The margin expansion, combined with the initiatives we implemented to streamline our store base and to significantly lower our overall cost structure, resulted in a greatly reduced quarterly loss when compared to the comparable quarter last year." McGill continues: "However, our same-store sales decline is indicative of the challenging industry and economic conditions that we continue to face, reminding us that the industry recovery may likely be gradual. Poor weather also adversely affected our business during the quarter in key markets." With reports that as many as 1,000 dealerships have shut their doors or stopped selling new boats in the last 18 months, McGill says MarineMax continues to gain market share and is a "more significant player" in the industry than it was before the recession. Marine Products Corp., builder of Robalo and Chaparral boats, reported an 84.9 percent increase in net sales for the first quarter, which ended March 31. For the period, MPC generated net sales of $24.49 million, compared to $13.25 million in the same period last year. The increase was due primarily to a 73.9 percent increase in the number of boats sold, partially offset by a 2.9 percent decrease in the average selling price per boat, according to the company. Gross profit for the quarter was $3.44 million, or 14.1 percent of net sales, compared to a gross loss of $614,000 in the prior year. Operating loss for the quarter was $403,000, compared to an operating loss of $4.75 million in the first quarter of last year. The company&apos;s operating loss narrowed compared to the prior year because of higher net sales and gross profit, as well as lower selling, general and administrative expenses in the first quarter of 2010 compared to the prior year. Net loss for the quarter was $80,000, compared to a net loss of $2.49 million in the prior year. There was no loss per share for the quarter compared to a 7 cent loss per share in the prior year. "During the first quarter, Marine Products Corp. benefited from lean dealer inventories, a relatively strong winter boat show and retail selling season, and our industry position as a quality and innovation leader," CEO Richard Hubbell says in a statement. "As the selling environment for our products improved and a healthier dealer network was prepared to sell updated products, our unit sales increased by almost 74 percent compared to the first quarter of last year and by more than 88 percent compared to the fourth quarter of 2009." Hubbell says the company increased its work force by more than 30 percent for the quarter to keep up with production. 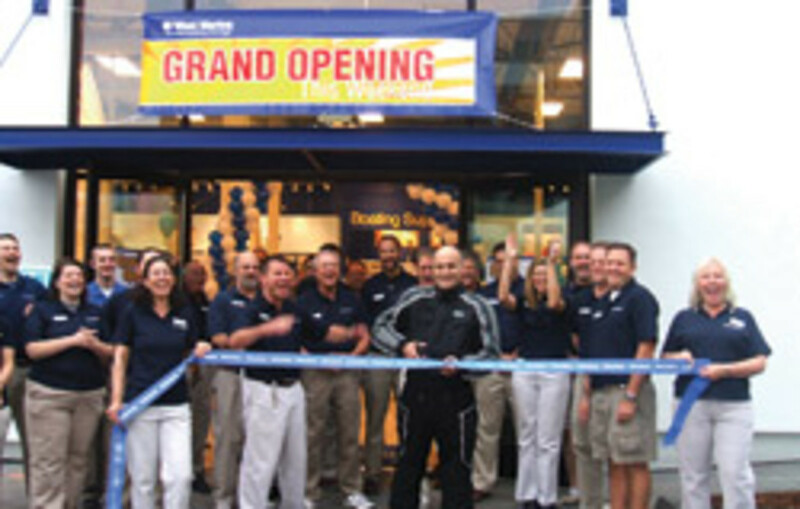 West Marine reported a nearly 9 percent increase in net revenues for the first quarter of 2010. Net revenues were $109.6 million, compared to $101 million last year, an 8.6 percent increase. Comparable store sales increased by 8.4 percent, the company reported. Pretax loss for the 13 weeks ending April 3 was $8.9 million, a $6.5 million improvement over a pretax loss of $15.4 million last year. Net loss was 40 cents per share compared to a 71 cent net loss per share last year. "We are pleased to report these considerably improved results for the first quarter of 2010," CEO Geoff Eisenberg says in a statement. "While we have always reported a loss in the first quarter due to seasonality in our business, we once again showed strong year-over-year operating performance." Eisenberg continues: "In fact, Q1 of 2010 was the sixth consecutive quarter in which we delivered improved operating results versus the corresponding quarter the prior year. As we mentioned previously, we believe our sales growth was driven by a number of factors, both external and internal. These factors included a recovery in demand for our bigger- ticket items, such as boats, motors and electronics, and strong preseason purchases of maintenance-related products, which gives an early indication of boat usage in the key late-spring and summer months." Gross profit for the period was $25.6 million, an increase of $3.7 million compared to 2009. Inventory levels at the end of the quarter decreased by $14.9 million, or 5.8 percent, reflecting a 4.8 percent decrease on a per-square-footage basis. Caterpillar: Caterpillar reported a first-quarter profit of 36 cents a share, up 55 cents from a loss of 19 cents a share in the first quarter of 2009. First-quarter profit was $233 million, compared to a loss of $112 million in the first quarter of 2009. Caterpillar is increasing its outlook for 2010 by raising the sales and revenues range and profit expectations. For sales and revenues, the revised range is $38 billion to $42 billion. The revised 2010 profit outlook is $2.50 to $3.25 a share. Cobra Electronics: Cobra reported increased sales and reduced net loss for the first quarter of 2010, compared to the first quarter of 2009. The company reported a net loss of $1.3 million, or 20 cents a share, for the first quarter, compared to a net loss of $1.6 million, or 25 cents a share, in the first quarter of 2009. The company&apos;s improved performance was further supported by a 10.5 percent increase in sales - $21.1 million in the most recent quarter from $19.1 million in the prior year - and reduced operating losses, which declined to $1 million from $2 million in the prior year. Cummins: Cummins reported higher sales and improved profits in the first quarter compared to the same period in 2009. Sales of $2.48 billion were up 2 percent from $2.44 billion in the first quarter of 2009, as growth in the company&apos;s components and distribution segments slightly more than offset declines in the engine and power generation segments. For the first quarter, the engine segment saw sales of $1.42 billion, down 5 percent. Industrial sales increased 24 percent, construction sales 62 percent, marine engine sales 13 percent and mining sales 28 percent, while oil and gas sales fell 80 percent. Garmin: Garmin announced a slight decrease in revenue for the first quarter, which ended March 27, but said revenue in the marine segment increased 9 percent. Garmin announced total revenue of $431 million for the quarter, down 1 percent from $437 million in the same period last year. However, marine segment revenue was $41 million, up from the same period in 2009. The marine and aviation segments were the only segments to report increases and Garmin says both "have begun to show signs of stabilization." Teleflex: Teleflex Inc. reported revenues from continuing operations were $436.5 million, compared to $440.1 million in the prior-year quarter, down 1 percent. Commercial segment revenues in the first quarter declined 9 percent to $56.1 million from $61.6 million in the same period last year. Reductions in core revenue, which accounted for 6 percent of the decline, were principally the result of a decrease in sales of rigging products, partially offset by increased marine OEM and aftermarket sales. The impact of the marine gauge business divestiture contributed 4 percent to the decline. Twin Disc: Twin Disc reported a small decline in sales for the third quarter, which ended March 26. Sales for the quarter were $60.97 million, compared to $69.29 million for the fiscal 2009 third quarter. Year-to-date, sales were $163.22 million, compared to $223.56 million for the fiscal 2009 nine months. While down year-over-year, sales continued to show sequential quarterly improvements. Net earnings for the quarter were $1.45 million, or 13 cents a share, compared to net income of $2.85 million, or 26 cents a share, for the fiscal 2009 third quarter and a net loss of $490,000, or 4 cents a share, for the fiscal 2010 second quarter.